Read more about the Rev. Joyce Scherer-Hoock. 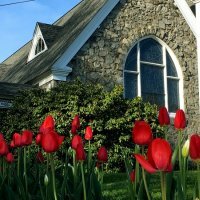 The Vestry, consisting of a group of parishioners elected by the parish, has overall responsibility for parish programs, the maintenance of church property and grounds, raising money, and managing the parish budget. In addition, Vestry members assist the priest in all matters affecting the spiritual welfare of the parish.